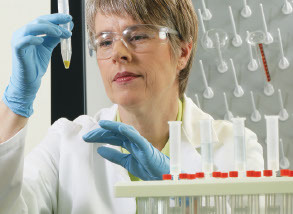 To lessen the risk of costly recalls or brand-damaging headlines, food testing labs need fast, accurate and convenient tools for detecting the presence of pathogens in their raw ingredients, environmental samples and finished products. For decades, labs around the world have chosen the award-winning BAX System as their preferred method for food safety testing. With a robust list of both real-time and end-point assays globally validated for a wide variety of foods and environmental sample types, the BAX System Q7 is sure to meet the demands of food processors across the entire supply chain. Food companies, service labs, and government regulators around the world rely on Hygiena's BAX System to quickly and accurately detect unwanted bacteria in raw ingredients, finished products, and environmental samples. Accurate results mean fewer re-tests, shorter storage time for products on hold, and less waste of truly safe food. Each BAX System PCR assay kit includes lysis buffer and protease, along with 96 PCR tubes containing BAX System PCR tablets. These convenient tablets contain all the reagents needed for fast and reliable testing results. Simply hydrate with the prepared sample and load the rack into the BAX System instrument for automated analysis. With a robust list of global regulatory approvals and worldwide sales and technical support, it's no wonder why Hygiena's BAX® System Q7 continues to be the go-to workhorse for DNA-based pathogen detection. Expand your in-house PCR capability beyond day-to-day pathogen testing with the Food Safety Applied Biosystems 7500 Fast Real-Time PCR instrument—a versatile, 96-well platform ideal for batch processing several hundred samples a day.